I purchased Weapons of Choice at a used book sale and it has been in my TBR pile for quite a while. While I like Alternate History I do not always like military novels so I was not sure I would like the book. However, once I started reading I was hooked. It is amazing to me the amount of research an author has to do to write a book like this. In Weapons of Choice a 21st Century multinational fleet is pulled through a time warp and end up in 1942. They land right in the middle of the American force headed for the Battle of Midway. The historical detail in the first part of the book is impressive and lends to the believably of the story. The arrival of the 21st Century fleet does change history. For me part of the fascination of the book was detailing the difference 80+ years make in the social structure of the world. The war in 1942 was very different from the war in the 21st Century. Society had also changed in that time. The Navy of 1942 was all white male and the Navy of the 21st Century had women and men of all colors. These changes added an additional conflict to the story. If you like Alternate History give this series a try. Weapons of Choice is the first book in The Axis of Time Trilogy. Ballantine Books published Weapons of Choice by John Birmingham in 2005. I read Altered Carbon, the first Takeshi Kovacs novel, several years ago and loved the concept and the story. Richard Morgan has created a future where death is not final, you can move from body to body and send yourself virtually from world to world. In Woken Furies, the third novel, Kovacs has retired, is not longer an Envoy and has returned to his planet of birth. He is on a private vendetta when he saves a mercenary from death and finds himself involved in the revival of a 300 year old rebellion. Nothing is as it seems. Like the previous books in the series the story is fast moving and full of surprises. This series is best read from the beginning. If you like edgy Science Fiction with an imperfect hero this is a series you do not want to miss. Every book will keep you on the edge of your seat. Del Rey published the US version of Woken Furies by Richard K. Morgan in 2007. In Touched by Fire, Marla has avoided men since she and her sister were attacked and her sister raped. During a chance meeting between she and Luke Paxton in a bar the mutual attraction they feel is a complete surprise to Marla. Luke knows the attraction is because Marla is his physic match. He is a Sentinel with special powers and he needs Marla to help him concentrate those powers to fight a great evil. Luke’s problem is to convince Marla that they must work as a team to succeed.. Catherin Spangler has used the story of Atlantis in this series about Protectors, Lovers, Sentinels. Luke and Marla are well-developed characters and their story contains great drama, a touch of humor, and a tender romance. In addition, the villain is truly evil, the supporting characters are fleshed out, and the Texas setting is realistic. Although Touched by Fire is the second book in the series I read it first. I did not have any problem reading the series out of order. Berkley Sensation published Touched by Fire by Catherine Spangler in 2007. Touched by Darkness, the first book in the series was also published in 2007. Touched by Light, the third book just came out this month. There was a great teaser preview in the back of Touched by Fire and I have been waiting for two years for Touched by Light to be published. I have it on order from Amazon. Catherine Spangler also wrote the Shielder Series. 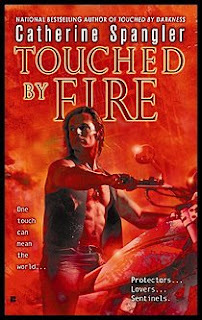 * I recommended Touched by Fire because a new book in the series has been released. After writing the recommendation I found that both Touched by Fire and Touched by Darkness have been out of print since March, 2009. If you want to read the first two book check out used copies. If you want to know why Nero burned down Rome read this story. Written as a series of memos you meet people in ancient Rome and modern people in the lab with the Time Grabber. It just goes to show you never know what will result from a small-unapproved action. Gordon R. Dickson first published this in a book of his short stories. 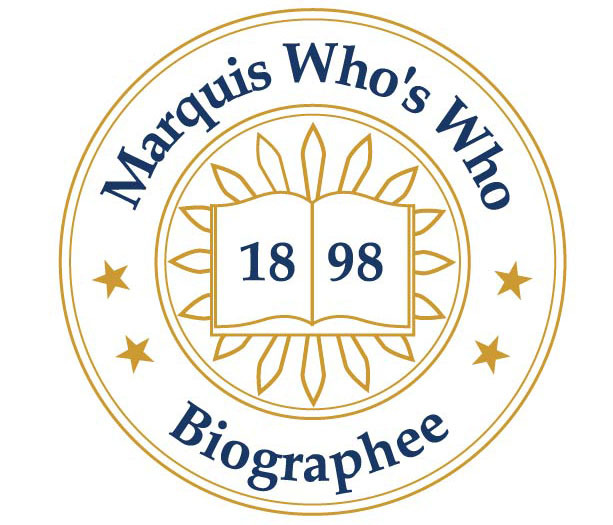 That book is out of print but some of his short stories are now available on Fictionwise. Time Grabber and The Breaking of Jerry McCloud are available as one purchase. Both are short fun reads. As I was walking by my bookshelves the other day Lord of the Storm by Justine Davis called out to me. I took it down to re-read and remembered how much I enjoyed this RITA award winning classic Science Fiction Romance. Shaylah Graymist is a fighter pilot for the intergalactic Coalition. She does not approve of many of the Coalition policies but turns a blind eye because she loves flying for their space force. Shaylah is on leave when her friend Califa offers her the services of Wolf, a slave from Trois. Trois was a peaceful would that chose to remain neutral instead of joining the Coalition. The world was destroyed and most of its inhabitants killed because of that choice. This offer forces Shaylah face the issues she hates about the Coalition. She frees Wolf and joins him in a fight against slavery and the Coalition. The story, the characters and the plot are well thought out and developed. The love story between Shaylah and Wolf has passion and excitement. If you get the chance get a copy of Lord of the Storm. Topaz published Lord of the Storm by Justine Davis in 1994. The book is currently out of print but can be found used on Amazon and other sites. There is a second book in the series, The Skypirate. Justine Davis still writes contemporary romance. I hope someday she goes back the the worlds she created for Lord of the Storm. I am seeing a lot of publishers re-releasing romances. While the books have new covers and an updated look as buyers we need to beware. Times and tastes change and books that were great 15 to 30 years ago don’t always pass the test of time. Here are some things to remember before you spend money on a book that may disappoint. 1. Most covers do not tell you that they are a reprint. 2. Check the copyright to see if this is a new book or an old book re-released. 3. Read a few pages to make sure you have not read the book in the past. 4. Your favorite author may write great stories today, but what they wrote 30 years age might not be go great. 5. Most reprints are priced less than current releases. Look carefully if the book is priced less than you expect. I am not against re-prints. Today I purchased a re-print by one of my favorite authors. I had read every other book in the series and was happy to find the missing one priced at just $4.00 at Wal-Mart. On the other hand a friend gave me a re-print from a best selling author that was originally published in 1976. It was not even close to the quality of her current works. If I had purchased the book I would have been very angry. Romance is always popular. According to industry reports the current economic conditions have increased romance sales. Publishers are trying to make more money and reprints are one way to accomplish that goal. Unfortunately not every book deserves a re-birth. Check carefully before you buy to make sure you are getting what you expect. Growing up I wanted a life of adventure. Unfortunately my Mother wanted a quiet, ladylike daughter. Real life adventure was out so I got mine vicariously through books. On a trip to the local library when I was 9 I found a book with a space ship on the spine and checked it out. Trouble on Titan was the first Science Fiction book I read and I was hooked. I had found the ultimate adventure. The only problem was the lack of female characters but I solved that by mentally rewriting the story with a role for me. After that I read all the Science Fiction I could find. Some of those books were by Andre Norton. I read Star Man’s Son soon after it was published in 1952 and it became one of my favorites. Not only was the story good but the author was female. I read all of her early books, most as soon as they were published. At that time many of her books had mostly male characters but at least here was a female writing the adventure I loved. I still go to the library. Science Fiction books are still my first choice. I have lived some of my own adventures, but I still love to sink into a good Science Fiction story. 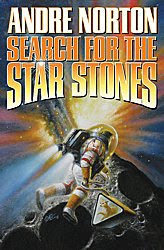 On a recent trip to the library I saw Search for the Star Stones by Andre Norton on the new bookshelf. Originally published in 1968 as two books (The Zero Stone and Uncharted Stars), Andre Norton’s estate has renewed the copyright and Baen has re-published the two novels. The stories read better as one book. The Zero Stone leaves a lot unfinished and Uncharted Stars picks up right where the previous book left off. Reading the Search for the Star Stones was like revisiting an old friend. There is adventure, action, suspense and a strange new creature woven into a great story. While later books have females in lead roles Search for the Star Stones has primarily male characters. If you have never read any of Andre Norton’s books you have missed some good reads. If you have already read any of her books this is a chance to go back and revisit some old friends. Search for the Star Stones is not the only Andre Norton book Baen has re-published. 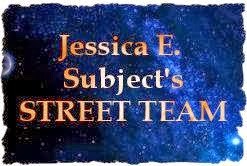 Check the Baen web site for others. They are all available as hardcopies or as e-Books.